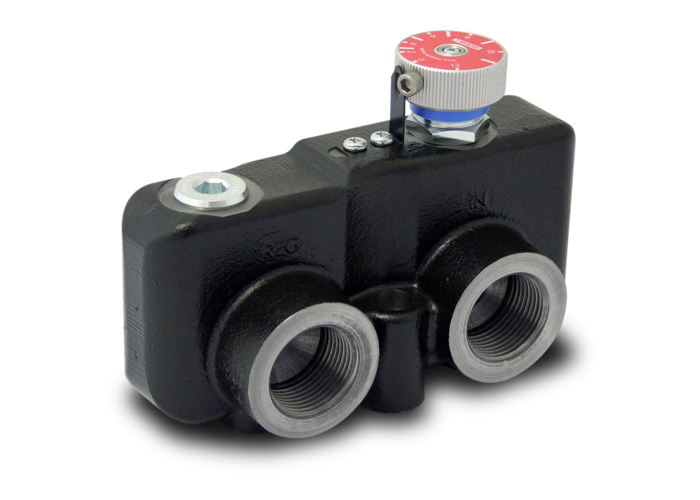 Hydraulic engineers in need of an in-line flow control valve to regulate motor or cylinder speed on construction and agricultural machinery applications need look no further than Webtec’s new high-pressure VFD190 Series. The new VFD range has both a 66% higher operating pressure and maximum inlet flow capability than the existing Webtec 2FV series, but due to its larger one-inch port size and highly optimised mechanical design has a substantially reduced pressure drop, meaning heat generation can be cut in half resulting in significantly lower fuel consumption. Aimed at applications such as controlling the speed of operation of hydraulic hammers, crushers, screeners, spreaders and conveyors this three-port variable priority flow divider is nearly immune to rapid changes in load, with adaptive pressure compensation enabling both the regulated and by-pass flows to be used to drive separate circuits. The VFD190 has a single turn knob to smoothly control the flow even under full pressure and is rated up to 190 lpm (50 gpm) inlet flow, at pressures up to 420 bar (6000 psi) and comes in 5 sizes with both BSPP and SAE ports available.